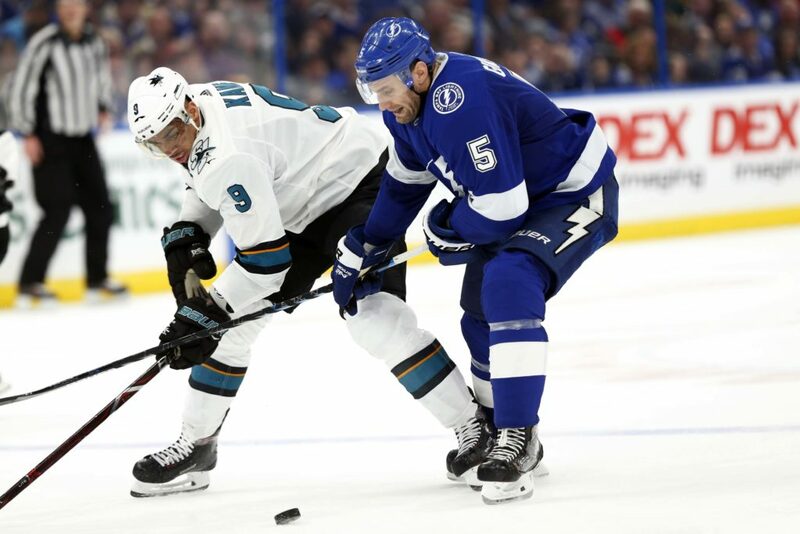 TAMPA, Fla. – Tapping the best team in the league for the second time in two weeks would be a high enough job for the sharks already, as Tampa Bay Lightning came out of a rare loss on Thursday night and intended to empty their minds into what was their last game before the All-Star break. This task became much more difficult in pregame warmups on Saturday at Amalie Arena, when defenseman Erik Karlsson left the ice and did not return, missing his first game this season due to injury. Karlsson was spotted with a noticeable hug after the Sharks loss in Arizona on Wednesday night and favored his left foot / ankle. He was expected to play on Saturday morning. Coach Pete DeBoer, but Karlsson decided a few minutes before playtime that he could not go.